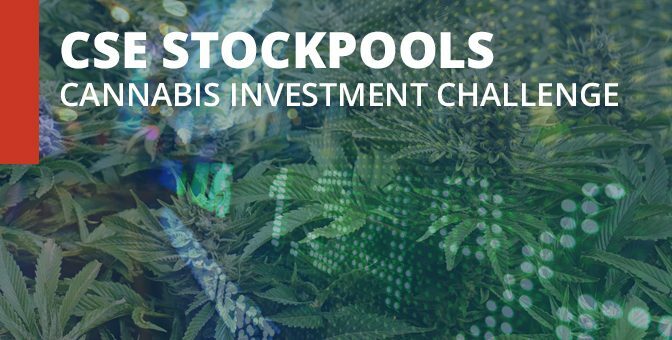 This past summer, the Canadian Securities Exchange, in partnership with Stockpools, Lift Cannabis Expo, and Abattis Bioceuticals Corp. (CSE:ATT), successfully ran the first-ever CSE Stockpools Cannabis Investment Challenge. This 11-week fantasy stock trading competition attracted over 1,000 participants from across North America and beyond who were each vying for the chance to win weekly cash prizes as well as the chance to win the grand prize, valued at $3,000. The challenge helped investors understand more about the pool of companies in the competition; specifically, all of the companies that investors could choose from are CSE-listed companies involved in the cannabis sector. In total, there were 45 companies that investors could choose from in order to put together their fantasy portfolio. In addition to some colourful usernames, weekly winners of the competition (listed below) posted some impressive gains, with the range of returns spanning from 0.28% in week 6 to 15.12% in week 4. The grand prize winner, John Terry from Rhode Island (USA), won the final three-week stretch with a gain of 13.21%.